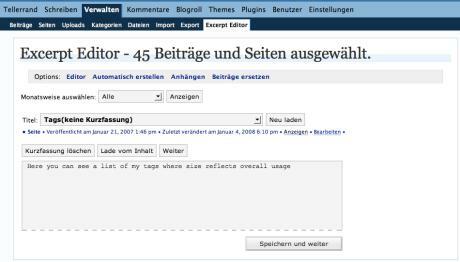 I created a translation for the WordPress plugin Excerpt Editor which lets you edit the excerpts of all your posts and pages conveniently. 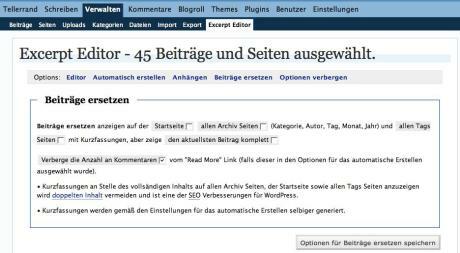 If you’re using the German translation for WordPress this plugin will appear in German too. 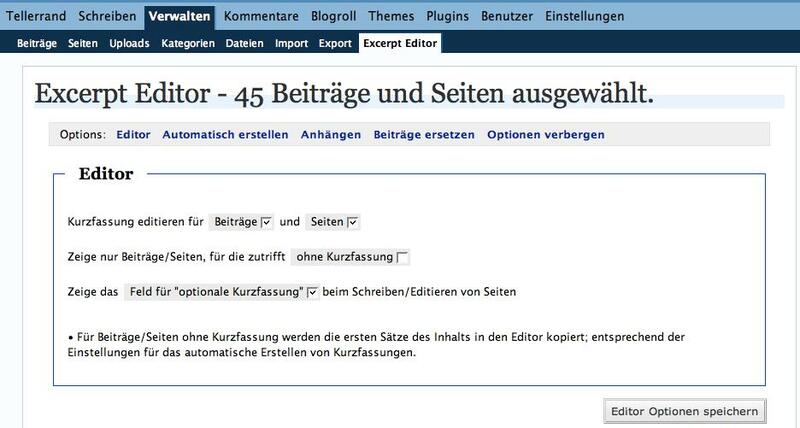 The translation will be integrated in the next release of the plugin which you may download here. 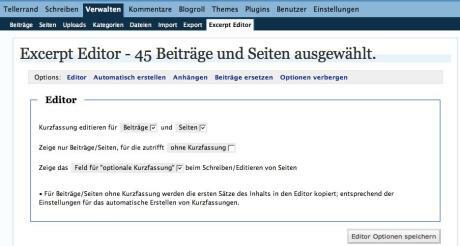 If you’re interested have a look at the nice look of the German translation. 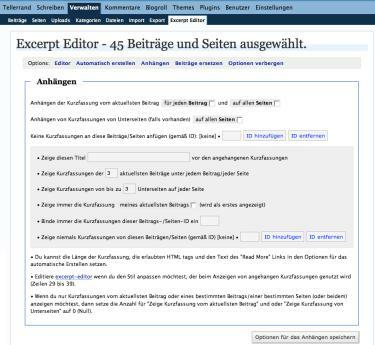 This is the main screen where you can edit the excerpts (Kurzfassungen). This is the options pane for the editor. 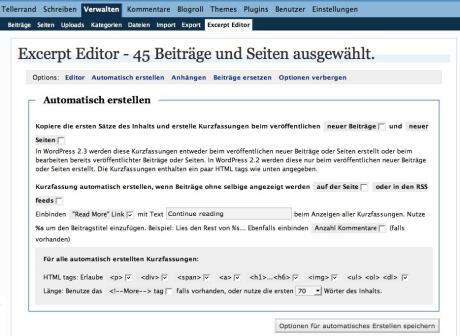 Here you can see the options for automatically generating excerpts. 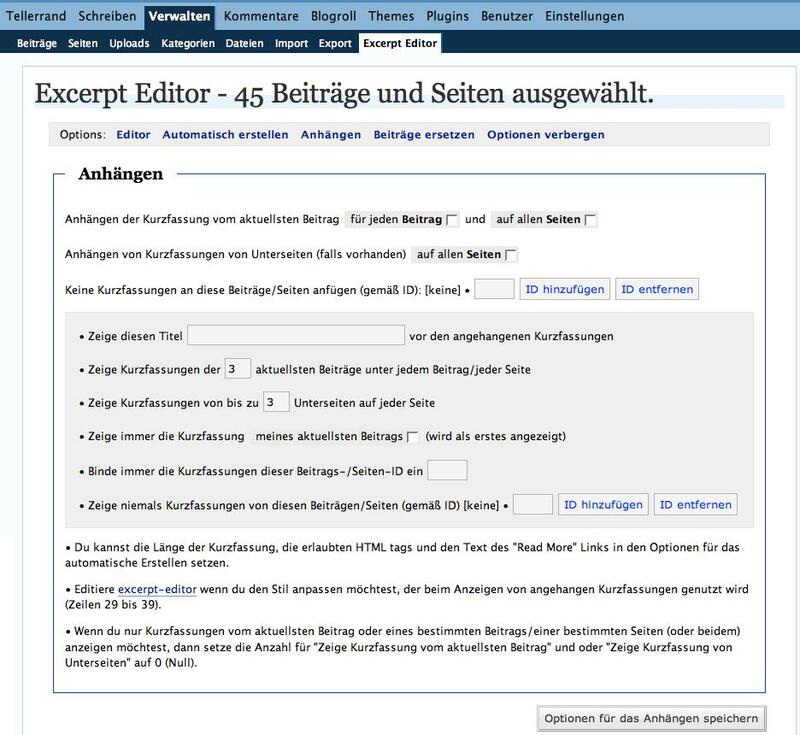 Appending excerpts can be configured here. 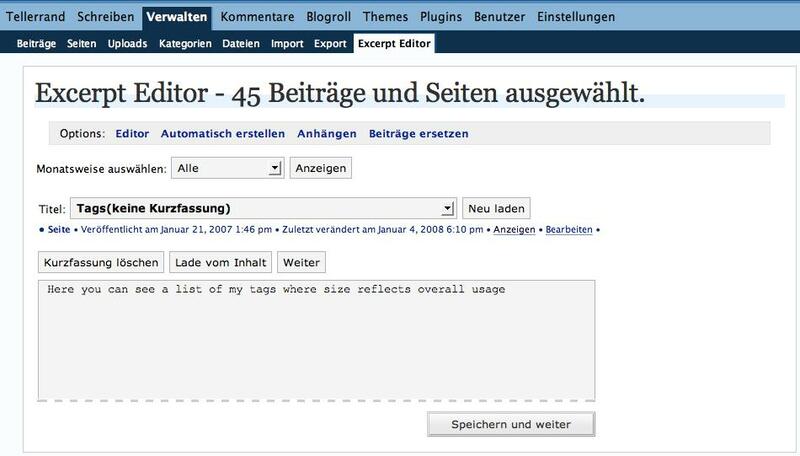 Options for replacing posts with excerpts.